To give you a quick overview of all the parts that go together to make up the CoalaWeb Date extension I have written this short summary. It will help give you good understanding of whats included in the system as well as outlining what version each part belongs to. 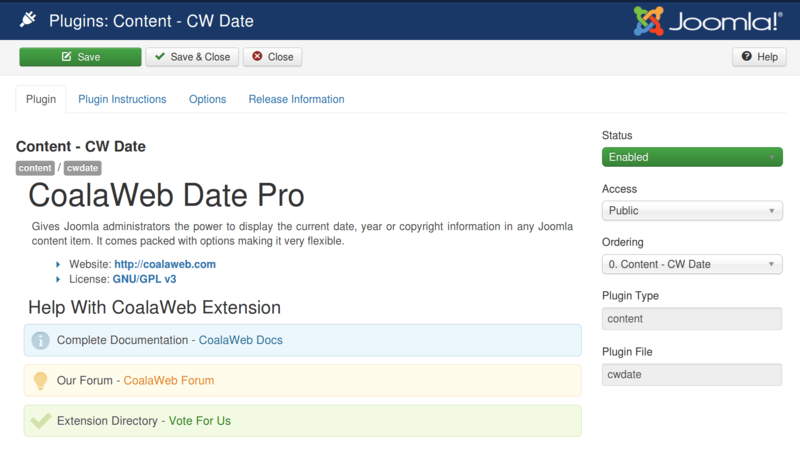 CoalaWeb Date Gives Joomla administrators the power to display the current date and Pro subscribers the current Year and or Copyright information in any Joomla content item.